I sketched the main train station in Leipzig. 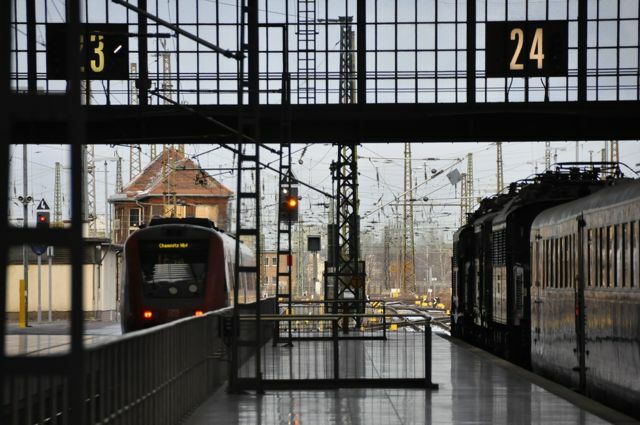 On January 11, I took a train to Leipzig. The main reason for visiting this city was to tour a large facility of artist studios and galleries which had an open house on Saturday January 12. Unfortunately, I had caught a cold, probably from Jeff, and was feeling very under the weather when I arrived. But I didn’t let it stop me from enjoying my trip. Below are my first impressions of Leipzig. 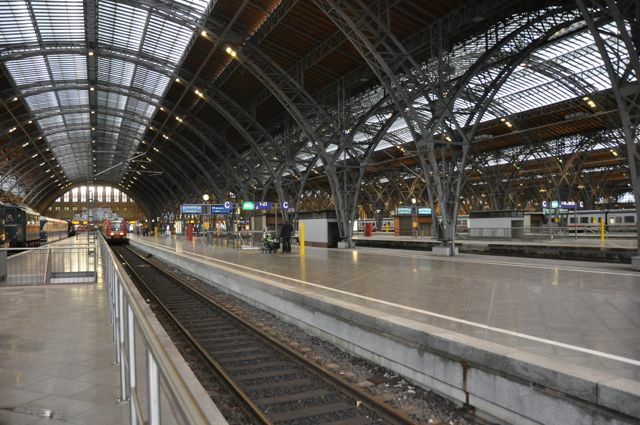 The Leipzig Hauptbahnhof / main train station: I was shocked when I arrived here at the sheer size of this train station. I learned later that this is the largest train station in all of Europe. Since I had time to kill before I could check in at my hotel, I put my backpack in a locker and spent almost two hours just walking around, photographing and sketching the train station. It was awe-inspiring. 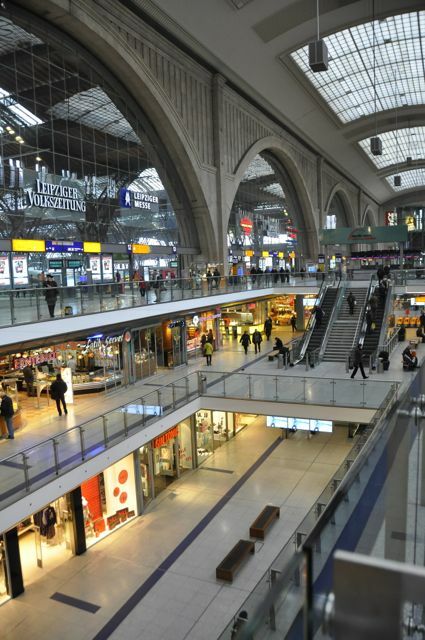 On top of everything, there is also a two-level mall below the train station level. 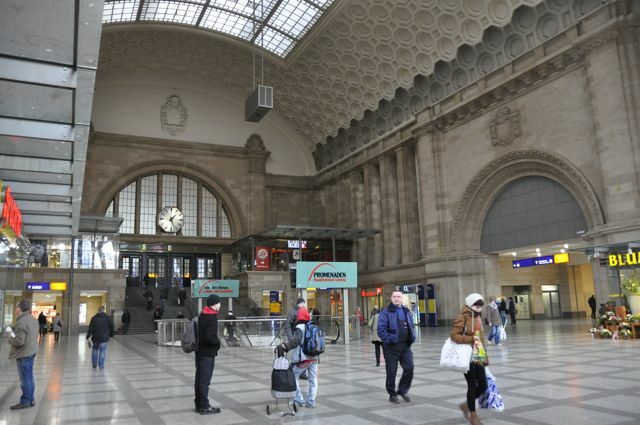 Just one of several what I call “side halls” of the Leipzig Hauptbahnhof. 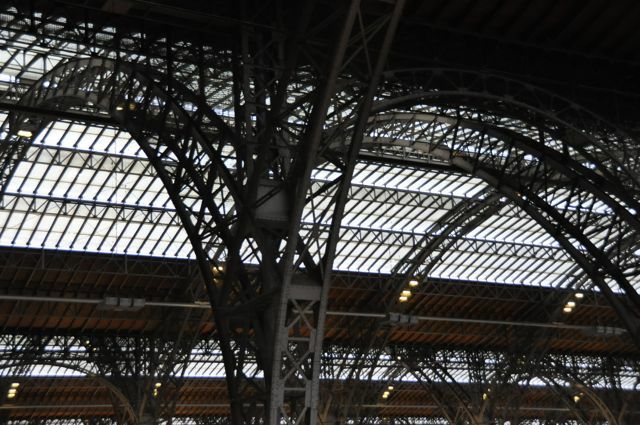 The Leipzig main train station consists of not just one, but many of these domed ceilings. Looking back down one of several giant domed halls towards the main hall of the Leipzig Hauptbahnhof. Looking out of the Leipzig main train station. Old trains are displayed along one of the many tracks (I think there are well over 20 tracks) of the Leipzig Hauptbahnhof. 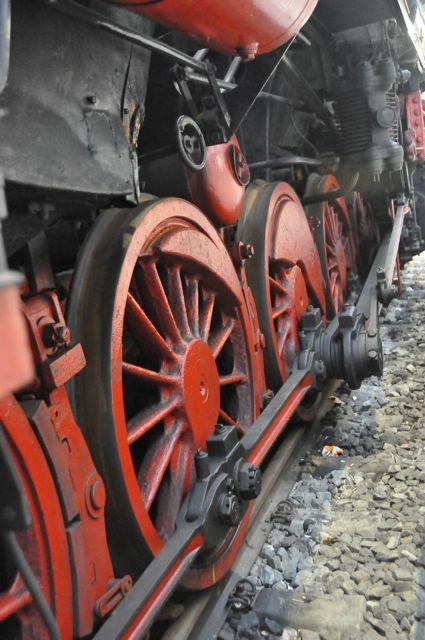 Old trains are displayed along one of the many tracks of the Leipzig Hauptbahnhof. 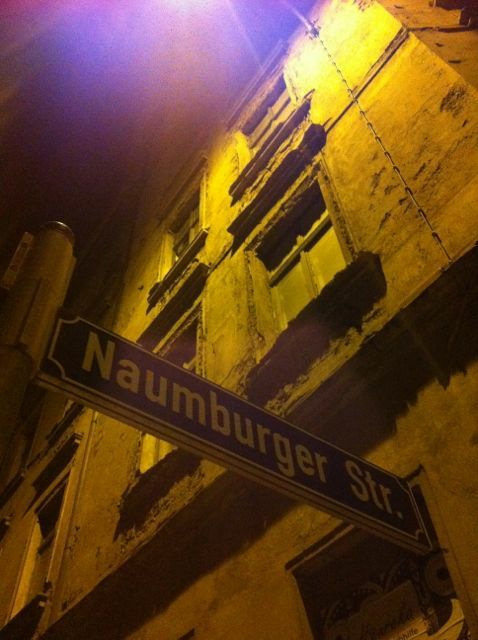 The streets around the neighbourhood of Leipzig where my hotel was, still looked very “DDR” (East Germany-like). I arrived at my hotel in Leipzig. 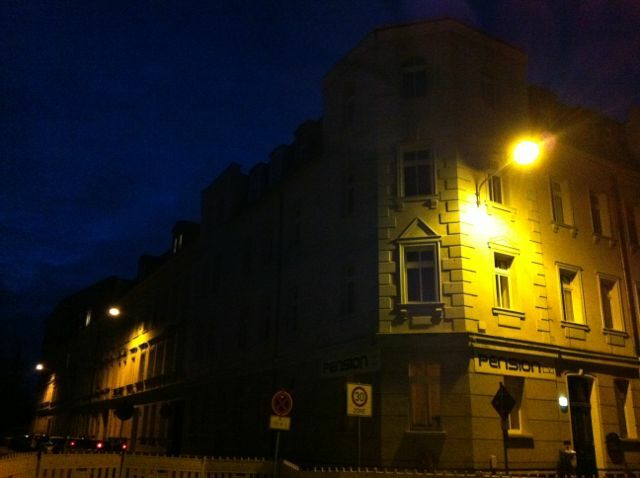 The street was dimly lit and not as many houses were fixed up from East German times as I am used to from Berlin. 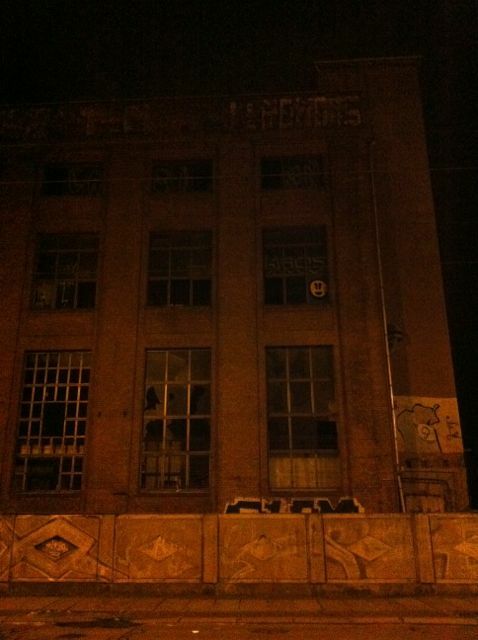 An abandoned factory building in Leipzig. The area where I stayed, is an old industrial neighbourhood with small factories, warehouses, as well as residential buildings. I walked by some gloomy sights on my way to a restaurant. 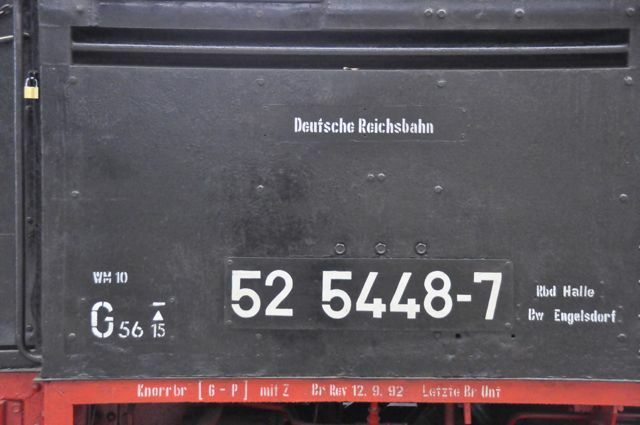 I had found what looked like a good place online called “Prellbock” (this means “buffer” in the railroad sense to help stop a train at the end of its track). And Prellbock was indeed a great restaurant; serving large delicious meals of game meat, rabbit, but also schnitzel for dinner for €9 to €14. 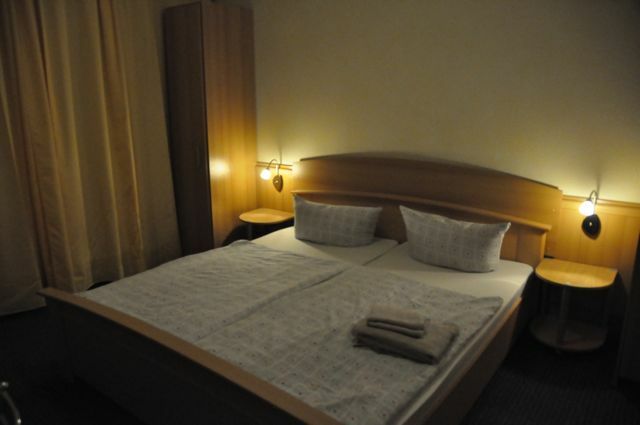 My Leipzig hotel room — it was a bit drab, but adequate. I did not expect more for €29 a night. My cold was at its peak and I was happy to have a warm, quiet room and a bed to sink into.